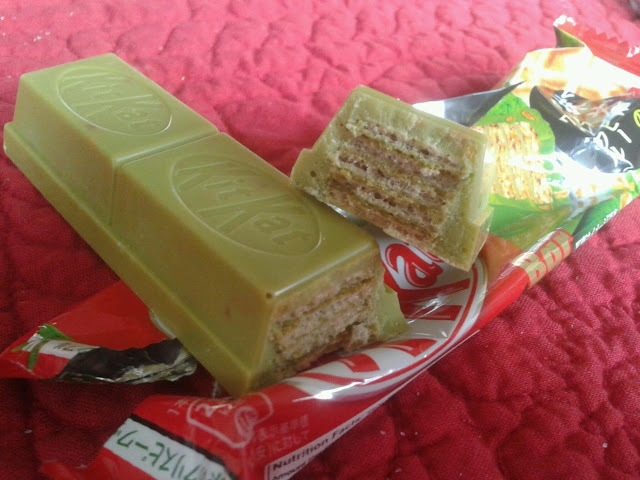 I love these giant bars. 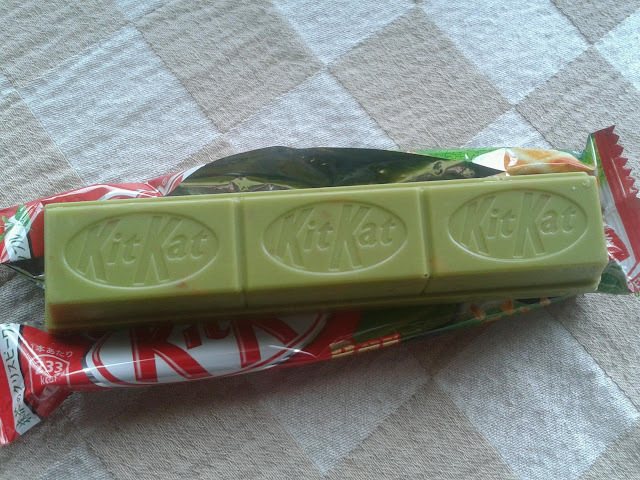 There's something different or more so 'special' about them than regular sized kit kat bars. 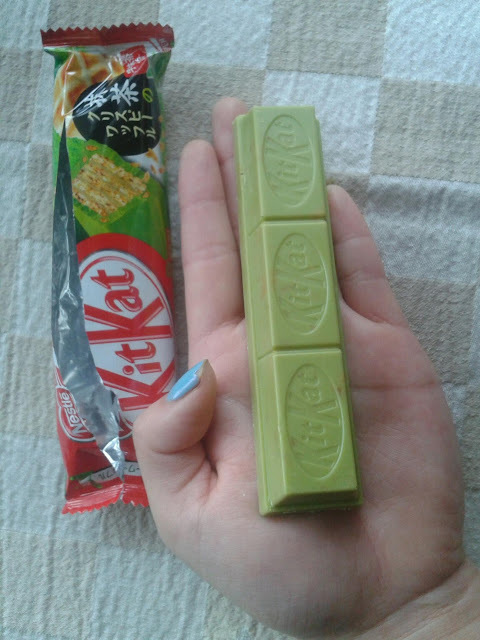 Not sure if you can tell from th epic, but theres little bits of nuts or cookie chunk in the actual green tea chocolate. If anyone can read the Japanese labeling and let me know, that would be awesome! Overall I am obsessed with these! 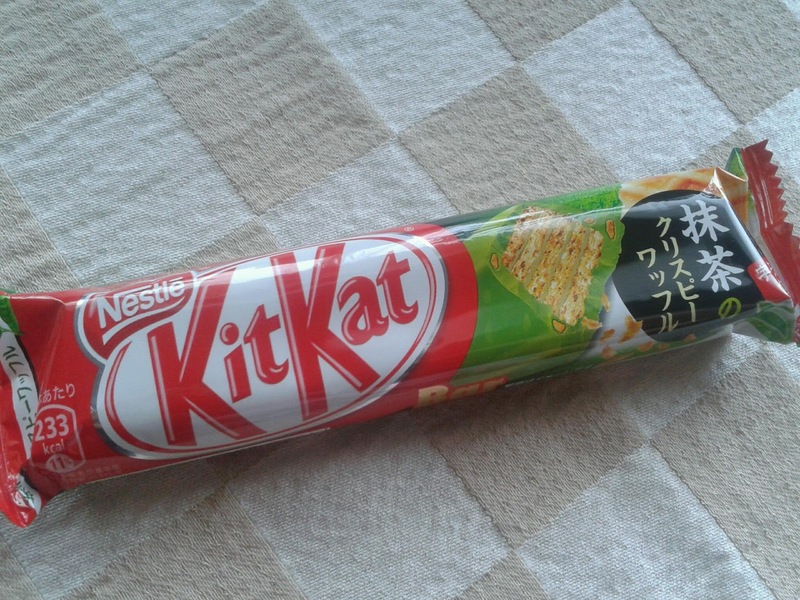 I stocked up on these since I knew it would be hard to find them again. I had my friend try a bar and she said it was almost too much wafer for her, which I can see, since it is a huge bar, but it is a good bar. 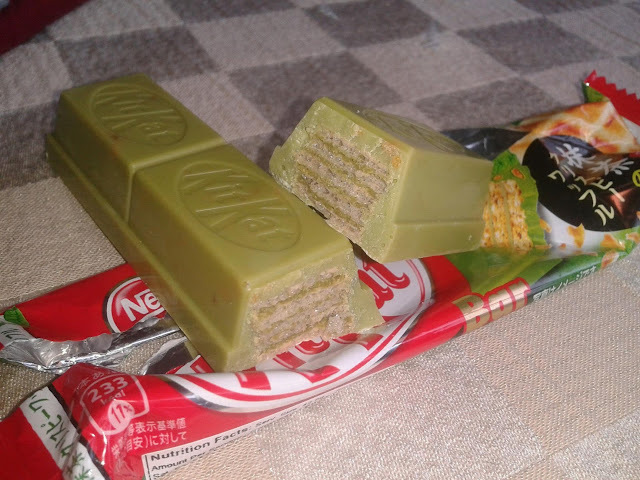 I really hope we can get them over here in the States again since I want everyone and anyone who's a fan of Green tea and green tea kit kats to try ! Can you please let me know where to find these! !